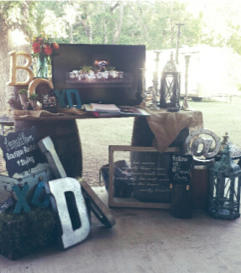 We always, (ALWAYS) have a good time when we visit the St.Clair family at Ranch of the Saints, recently we particularly enjoyed setting up with them for their first ever two day open house! The weather was wonderful, sounds of nature everywhere, and the gorgeous scenery at their property were the making of a Disney movie! We particularly love the Ranch of the Saints because of the St. Clair family. Glen, Blanca, Andrew, Ashely & Kassie are always so inviting, warm and welcoming each time I am there they make me feel right at home. This family owned and operated ranch has been in the St. Clair family since 1937. From the 1930’s swing and incredible fireplace patio to their newest additions, (they have a Vineyard coming next year ya’ll!) it is built on their families’ love of this sacred place and desire to share it with others during their celebrations. With its timeless swing for children & lovers alike, beautiful old bath house, lush green fields full of larger than life trees, and their glorious fire mantel… everywhere you look you see hard work, a labor of love and history creating this beautiful wedding venue. 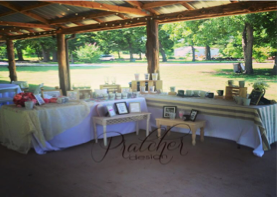 During the open house The Ranch of the Saints offered tours throughout the venue and their bridal suites, and we were nestled right in the middle of it in the wonderful new large pavilion with several wonderful vendors. 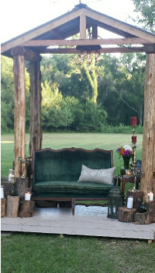 We were also honored to get to style their new mini pavilion arbor with our stunning new couch “Emerald” creating a lounge for guests to enjoy & even for other vendors to use. In between visiting with engaged couples & families each day it was a treat to shop two different boutiques while visiting with our inspiring friends from OKC Wedding Ideas. The first day of the Open House we picked up a great dress and blouse from the fantastic Shop Cargo Room a mobile boutique that set up shop close to us, then the next day we picked up a great bracelet for a gift from Wylie Coyote Boutique. 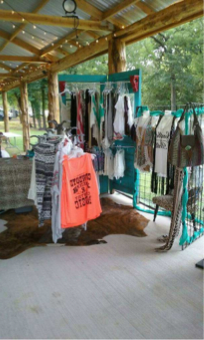 Both boutiques offered unique pieces and great selection, making them the perfect places to shop for outfits for bridal showers, engagement parties and honeymoons. 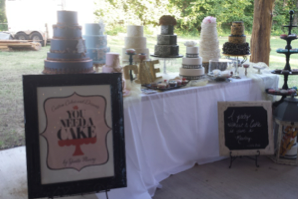 We were set up right next to the incredible display of one of our favorite cake ladies, You Need A Cake (as if that didn’t make us hungry all day!). Bless her heart because Yunita supplied us with incredible samples (6 samples = almost a slice if you’re a math person btw) all day (requiring me to try on TWO sizes while shopping). 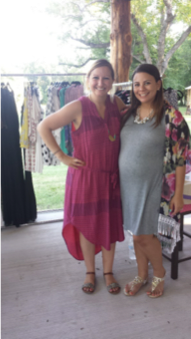 We had two fun filled days surrounded by beauty at the Ranch of the Saints open house. 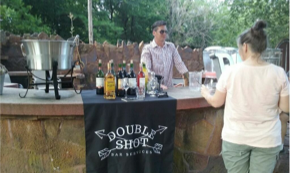 It was a wonderful experience meeting several prospective clients, incredibly fun vendors that brought new ideas to life, and celebrating the grand opening of this beautiful venue. 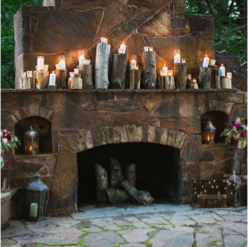 If you are in search for the perfect venue with a welcoming atmosphere, beautiful grounds, that is rich in history, check out The Ranch of the Saints, it might be the right fit for you!